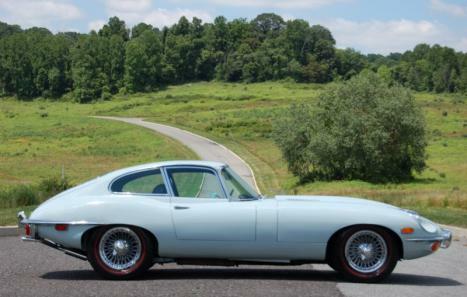 Luxury Brokers International is proud to offer this 1970 Jaguar XKE Coupe. As a true 2-seat, 4-speed, Factory AC car this opportunity presents a very well sorted example that would please any enthusiast as a weekend driver. 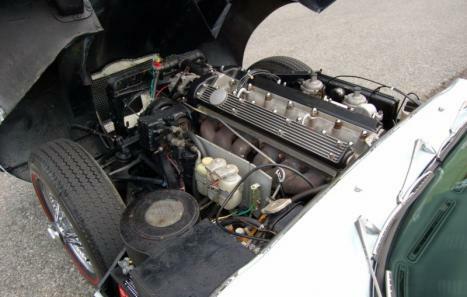 Although a non-matching numbers car (Engine Number 7E16278-9 from a Series 1), chassis number 2R28430 is in excellent running condition showing just over 43,000 miles on the clock. Cosmetically this example has seen many recent updates. Just finished in Iris Blue with a new black leather interior kit, it shows well and has been completed to a driver quality standard. The paint does show some orange peel, a few minor chips and slight overspray in some minor areas, but nothing of major concern. The chrome is all present, is showing its age, but does show nicely, again, as a driver. All rubber seals are in decent condition and still very usable, the front window seal is new. All glass is fade/crack free. The interior fit and finish is very nice with new carpets, door panels, kick panels, center console, dash, newly dyed seats, new headliner, and visors. An Alpine stereo system has been tastefully integrated into the original console for modern convenience. The trunk is tidy as well showing good fit and finish with no tears or issues. 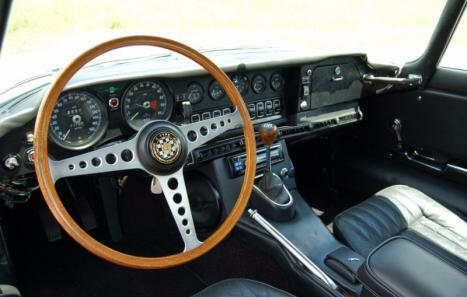 All switches are in working order as are al gauges with the exception of the speedometer. Oil pressure gauge shows 60 Pounds at all times and the temperature gauge hardly goes past the half way mark with no overheating issues.
. 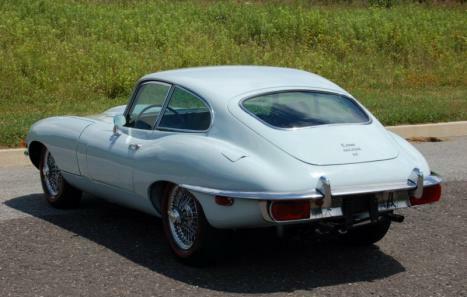 This 70’ XKE Coupe is truly a driver in every aspect, well sorted, mechanically sound with excellent updates to provide any enthusiast with an opportunity to own a car that can really be driven and enjoyed. Please inquire with any additional interest.